ownCloud workshops - two down, two to go. The success rate is going up - where, at the first ownCloud workshop at the openSUSE conference, we had no successful installation, yesterday in Helsinki we reached a two-out-of-five. Both workshops had around 20 participants but usually people collaborated in groups of 3-5, following my guidelines on how to get ownCloud up and running on a Banana Pi development board. Whoah, two out of five? I admit it isn't easy and partially, that is intentional. The instructions in the document are sparse, especially for newbies - but even an experienced Arch'er threw his towel in the ring after almost three hours. Then again, what is a workshop for if not for enjoying the struggle of learning something new? And certainly everybody did that - struggle and learn new things. Those who have any experience installing ownCloud know the difficulty can not be in ownCloud - and indeed, once you are set up with a running Banana Pi with SSH access, installing ownCloud is a matter of minutes. But getting there is no picnic! Why? Windows and Mac. I'm sure they are awesome operating systems, but something which is a few mouse clicks on a Linux system (sharing the wifi internet connection over a Ethernet cable with the Banana Pi) seems virtually impossible. On Linux, NetworkManager makes it as easy as creating a new wired connection, choosing "shared network" under the IPv4 tab and ticking the "this connection requires IPv4". Now, just enable this network after connecting the Pi and done. I have no experience with Windows or Mac whatsoever, but if nearly 15 IT students with internet access can't figure out how to make these operating systems do the same thing - I can only assume it is hard. Command line familiarity. If you're new to Linux, an instruction like "mount the USB stick and copy over the data to the Pi" takes more than a few minutes and requires you to learn at least two new tools and looking through system logs. New tools. You'll be looking for alternatives to Linux commands like dd on Windows and Mac first, and once you've given up on your familiar platform you get to learn tools even most Linux users rarely need. Geeks. "Can't you do this easier with TCPDump?" "You can do this with the ip command too, you know" - I could only reply "Try, and if it works, show me how." Rest assured, I learned a few things - but haven't changed my instructions. Yet. Seriously, I love it. Three hours of a workshop full of people trying various ways of skinning the cat. To me, the fact that nobody got completely through my instructions merely means they had a good time on the way. At least, that's what they said - "the best workshop I've been at" is just awesome to hear. And... working! A Banana Pi was the reward. I'll also have to make Linux mandatory. The USB sticks with instructions and software I provide will be openSUSE live sticks for the next workshop, as I can't expect everybody to have Linux by default on their laptops. And of course you can use Windows or Mac if you really want and are up for the challenge, I don't mind including instructions for these platforms. But nobody got them working yet so expect some struggle. Besides the satisfaction of getting ownCloud running, the first to succeed earns the Banana Pi they worked with! If you can't make it to Berlin, I will give workshop later this month also in Dubrovnik (see my earlier blog) and if you'd like to have this workshop close by - let me know, perhaps we can arrange something. This is a fun month. Not only are we moving forward with the ownCloud Contributor Conference (some cool interviews coming out soon), but there's a sudden avalanche of events this month. The ownCloud.org blog already wrote about it - we have had FOSDEM, SCALE, Chemnitz and may others I didn't attend myself. Find out about the openSUSE conf from last week and the upcoming OTS in Berlin! Last weekend I was at the openSUSE Conference which was a great event. I gave a workshop on how to install ownCloud on embedded devices (like Raspberry Pi and Banana Pi) with about 20 participants and while it wasn't as easy as I had hoped, everybody had fun. There were two great BBQ evenings as well, with beer and time to talk to many, many old and young geeko friends. I absolutely had a great time - thanks, everybody, for working on the conference and being there! I look forward to next years' event. This Friday I'll give a workshop at Happy Hacking Day 2015 in Helsinki and later this month I will keynote at the DORS/CLUC conference in Zagreb, Croatia. 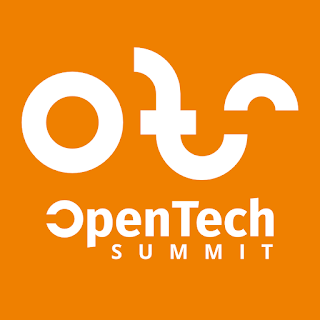 Next week, May 14, is a home game, as I'll give a workshop at the Open Tech Summit at the Kalkscheune in Berlin. I will spend a few more words on this as the event has been announced rather late, yet it looks like the place to be for Berliners next week! The event will feature talks, workshops and panels with topics ranging from open hardware to design, graphics, software, start ups and digital policies. In a barcamp style track there is space for adhoc meetings, lightning talks and breakout sessions. There will also be dedicated workshops for kids and maker enthusiasts, where you can make your own gadgets (TV-B-Gone, upgrade knitting machines, your own traffic lights) and Fashiontec wearables. In the evening it will have an “OpenTech-Himmelfahrt” lounge and the Linux Professional Institute offers Linux certification at a discounted rate. Speakers will include a bunch of interesting people from Freifunk, Mozilla, VLC, 3D printers and many other cool projects, discussing everything from software to hardware hacking. And of course, Blizz and myself will run a workshop on how to install ownCloud on cool devices. We have some with us, but it's recommended you bring your Raspberry Pi, power, a SD card, a laptop and a network cable. You can bring your server, desktop or laptop for installation of ownCloud too, of course. You can register for the workshop here and if you haven't yet registered or gotten tickets for the event - here's a nice discount.